So you think you might be a Caboholic. Becoming member of the Caboholic Support Group is easy, and FREE! Anyone can be a member, Just go to the Caboholic Support Group Facebook Group and join there. There you will find thousands of other members just like yourself. Be active in the group by either asking questions or sharing your experience and knowledge. 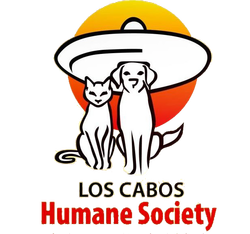 Take part in "GIVING BACK" to the Cabo Community, whether the people, the land, or the animals ... do something to help. Once you've spent some time within the group and become familiar with what it's is all about, you can decide whether or not you'd like to be a registered member. 2016 Registered Membership is now available! ​All Registered Members will receive a membership card. Know that it is not, now was it ever meant to be a "discount card". Although local businesses offer discounts to members upon presentation of the card, they are not obligated and may choose to discontinue offers at any time. A few of those offers on this website, but purchasing the card does not guarantee a discount. If you find that the discount is no longer offered at any of the advertised businesses, please let us know as soon as possibly so that we may contact the business and update the advertisement. If you are purchasing a membership for the sole reason of obtaining discounts, please reconsider. A Caboholic membership means far more than just getting discounts. If you're main interested is getting discounts, a better option for you might be to purchase the LOS CABOS PASSPORT CARD. To become a registered member, you will need to provide additional information and pay annual dues, currently set at 5.00 per month, payable annually. The annual dues for the remainder of 2016 is $35.00 per member payable via Paypal. You will be issued a membership number and membership card. A photo f your membership card will be emailed to you as soon as it is created, the permanent card can be picked up at the Caboholic Store located on Marina Blvd, next to the Cabo Cantina, one week after you submit our information. If you would like your card mailed to you, please allow 6 - 8 weeks. Each individual must fill out a separate request. Please fill out the form accurately and submit a recent photo. We are committed to keeping our members safe and free from spammers, scammers, and con artists. Applications found to contain fake names, aliases, and / or misleading or fraudulent information will not be approved. Be sure to complete all 4 Steps, including the payment via paypal. MEMBERSHIPS REQUESTS ARE TEMPORARILY DOWN, WE WILL RESUME AS SOON AS POSSIBLE. PLEASE DO NOT SUBMIT A REQUEST AT THIS TIME. Photo should show your face, preferably with a smile. Photos of landscape, pets, etc. are not acceptable. organizations. You may choose where and show your support on your card. like to have your permanent card mailed to your physical address or pick it up in at the Caboholic Store. Dues must be paid via paypal if the card is to be mailed. I will pick up in Cabo. Please mail to me. If you will be picking the card up, please specify the approximate date of pick up. Please choose to the best of your knowledge the year you joined. This will help us to verify. is filled out correctly, then hit submit again. Thank you.